Clerk is integral service (SAAS) designed to solve all hotelier's online problems. This is why our support and advice is always available so you never feel helpless! Our Help Center contains a great amount of documentation to help solve doubts and problems you might be facing and various tips to get the most of your Clerk account. If you do not find an answer in our Help Center, we centralize all our assistance by messaging so you have the most rapid and efficient response from our the area inquired and on duty. 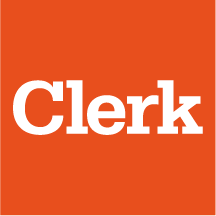 support@clerkhotel.com in case you have questions or problems with any configuration or system functionality. sales@clerkhotel.com in case you have any requests regarding a service or questions about our plans. Our assistance is done remotely for your convenience and rapidity in the attention of all our customers. We can schedule video calls to adresse doubts on system use or solve specific errors on your account any time from our offices.